Extended body valves are available for gate, ball and globe valves. Extend the valve body to comply with API602. Inspection and testing according to API598, marked according to MSS-SP-25. The bellows shut-off valve, also called the bellows seal shut-off valve, forms a metal barrier between the fluid medium and the atmosphere through automatic seam welding to ensure zero leakage of the valve stem. 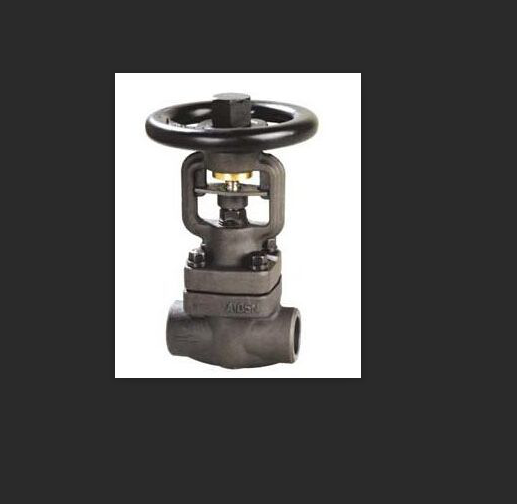 WJ61Y-300LB forged steel bellows welded-type Globe Valve adopts bellows structure inside, and the lower end of stainless steel bellows is welded on the valve stem to prevent process fluid from eroding the valve stem. The other end is placed between the valve body and the valve cover to form a static seal. Double seal design If the bellows fails, the stem packing will also avoid leakage. The bellows is welded to the valve stem to maintain stable running performance and avoid the valve stem vibration caused by the valve plug vibration. It is most suitable for pipelines of steam, flammable, explosive, heat transfer oil, high purity, toxic and other media. Looking for ideal Welded Globe Valve Manufacturer & supplier ? We have a wide selection at great prices to help you get creative. All the Bellows Welded Globe Valve are quality guaranteed. We are China Origin Factory of Forged Steel Welded Globe Valve. If you have any question, please feel free to contact us.